Barry passed away on Thursday, Sept 24, 2015 (Yom Kippur:Day of Atonement). A memorial service was held at Desert Springs Bible Church on Tuesday, October 6, 2015 at 11 AM, followed by a luncheon at the The Orange Tree Golf Club to celebrate Barry’s life. To view his funeral service please click here. As Barry neared manhood, he put aside his interest in God and religion. He began a pursuit of personal pleasures and materialism; but, for all his travel and success, Barry was always left feeling empty. There was no lasting satisfaction or personal peace. It was at this time that a friend, who had been witnessing to him, placed Barry’s name on a church prayer list. Two years later, God had broken Barry. In January 1975, Barry Berger became a believer in Jesus the Messiah, receiving Him as Lord and Saviour of his life. 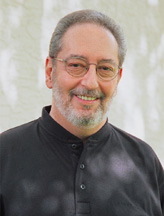 Barry served as the Director of Missions Emeritus for CJF Ministries. Barry had accepted a challenging call from God–to bring to the growing Jewish population in and around Phoenix the Good News that the long awaited Messiah of the Jewish people is none other than Yeshua (Jesus). In another aspect of his ministry, Barry spoke in churches to impart to his Gentile brethren his love for the “lost sheep of the House of Israel.” He also shared his burden and vision for reaching them for the Messiah. In addition, Barry taught and demonstrated the Jewish roots of Christianity, the Feasts of Israel, and Israel in Prophecy. A third area of work involved leading two Messianic fellowships in the study of the Scriptures. These groups serve as an outreach from the local church into the Jewish community. It is through these various forms of ministry that Barry received referrals to witness, counsel, and teach. Barry Berger brang exposition to the pulpit, coupled with an understanding of the Jewish perspective of the Scriptures. All who hear his “word from the Lord” will be challenged. Barry came to CJF Ministries as a seasoned worker. He pastored a Messianic congregation in Chicago, and later served nine years as the National Ministry Representative for a large Jewish mission organization. Visit CJFM.org to see their memorial page for Barry. My finest recollections of Barry, apart from his fine sense of humor at Seders and at other times, was his uncompromising respect for and treatment of the Word of God. He was one of the finest preachers of Scripture I have heard. Apostasy is everywhere in the American church, so he will be sorely missed for that and many other reasons. Now I have returned to the Valley, and look forward to attending Tikvah BaMidbar again. We, and our church, always remember Barry’s wonderful teaching! I will always remember my first Messianic Passover Seder, hosted by the incomparable Rabbi Berger. It was so educational—and he made it fun too! Heaven only knows how many lives were touched by Barry and will also be awarded that crown. What a blessing Barry was to me. And he truly glorified our Lord. He had a love for God’s chosen people. The Olive Tree Congregation family owes a unique debt to Barry and you, Vi. We are grateful for the investment you made in our formative years. We are grateful for your ongoing faithfulness in preaching Messiah’s Good News to our people. Thank you for the mentoring that you both gave me over the last 20 years. I count you both as such wonderful blessings in my life. Rejoicing for all those Barry invited to follow Jesus! Nothing more encouraging than the stories of Barry’s relentless sharing of Christ with strangers, and his teaching Christ to friends. Romans 1:16 was an ideal verse for remembering his passion. Scott and I will both miss Barry’s great sense of humor and his quick wit. Barry was unique in so many ways. His sharp mind always challenged us and kept us on our toes. Barry’s iron would sharpen Scott’s, and Scott loved every minute of it. His boldness for the Lord will forever be THE example to us. He was fearless for Jesus. And how God used him! What great reunions he must be having up there, with many more to come as God brings home his sheaves one by one. I remember Barry as a warrior for God. Not perfect, but a fearless man who served God in the best way he knew how—with fire and passion as he preached and witnessed the Gospel to thousands. I just hope he’ll let me have a room in his mansion. Barry challenged us to be biblically strong in the Lord. One day we will dine with Abraham, Isaac, Jacob and Barry. Well done good and faithful servant! Barry was a wonderful mentor to me in Jewish evangelism! Vi, please keep up the wonderful work you do in publishing the testimonies of people who have found and embraced Yeshua as their Messiah. Chris and I came to understand our Jewish roots because of Barry. He was such an inspiration to all of us! Barry was a true servant of the King of Kings! Barry leaves a huge void in thousands of lives, including mine.